David Beckham's "poster-boy" career may deceive the memory of the average football fan into thinking that the former English international midfielder was nothing but a pretty face with little impact on the football pitch. But Beckham has had his share of impact-full appearances everywhere he played, including the English national squad. 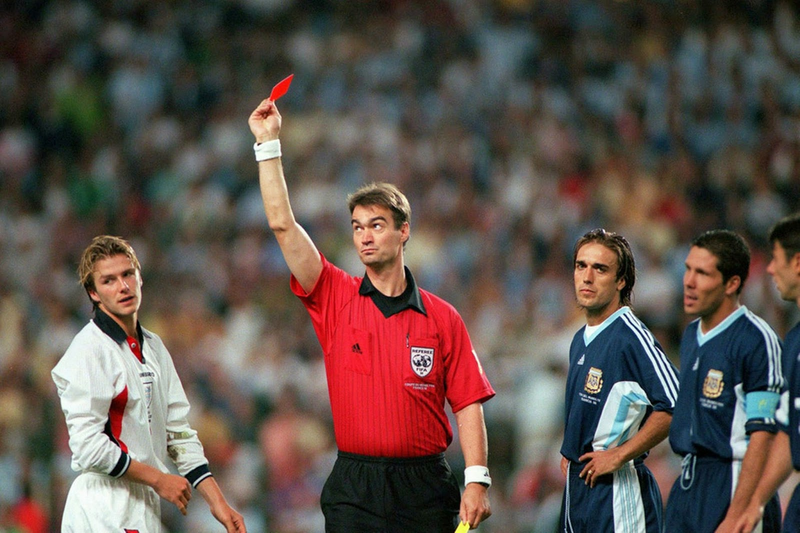 Leading up to the tail-end of the 2002 World Cup qualifying campaign Beckham surely was looking to redeem himself in front of English supporters after his sending-off against Argentina during the 1998 World Cup round of 16, in a match England would go on to lose on penalty-kicks. And then there was the dreadful Euro 2000 campaign in which Beckham's England crashed out at the group stages. Drawn into Group 9 of the UEFA qualifying zone for the 2002 World Cup to be held in Japan and Korea Republic, England faced the tough task of being in the same group as Germany. With just the top team qualifying directly to the World Cup, the task was never going to be easy. In their very first match England took a step back after losing to the Germans at Wembley by a score of 1-0, a match that saw manager Kevin Keegan resign. But after another unwelcome results in match-day 2, a shock 0-0 draw in Finland, England appointed Swede Sven-Göran Eriksson as Keegan's successor and The Three Lions started picking up steam with 5 straight wins that included a 2-0 decision in Athens and a memorable 5-1 thrashing of the Germans at the Olympiastadion in Munich. Going into the last match of qualifications at home against the Greeks, England were tied with Germany on points but had a six goal advantage in the goal differential category on the Germans. 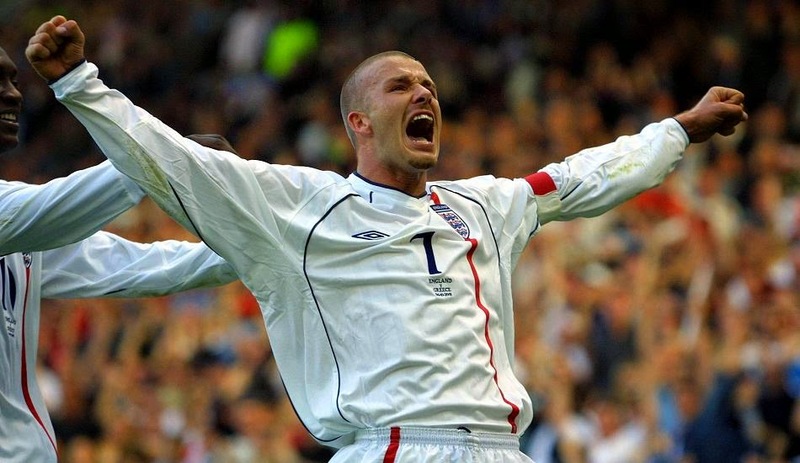 A win would almost guarantee England's spot in the 2002 tournament. Kicking-off at the same time were the Germans who were hosting Finland, in what should have been an easy win for Rudi Völler's side. On October 6th, 2001 at Manchester United's Old Trafford venue and in front of 66,000 spectators The Three Lions were a simple win away from booking their flight to Asia, but the match did not start as everyone expected. The Greeks would score the only goal of the first half when striker Angelos Charisteas put one in the back of Nigel Martyn's goal, who made his first start in this qualifying campaign for England. In the second half around the 68th minute and after a Greek scoring chance that was saved by Martyn, David Beckham would have his first big impact on the match. Taking the ball down the left flank Beckham shook-off two markers with some very smooth footwork before being fouled to the ground. Beckham took the free-kick himself, placing it perfectly onto Teddy Sheringham's head, equalizing the scoreline at 1-1. But just a minute later, while the England supporters were still chanting and celebrating Teddy's goal, Greece would silence the crowd, taking back the lead via a tap-in from Demis Nikolaidis. Could this be it? Will England have to face the uncertainty of a play-off round? In the 90th minute the Greeks still had the lead, but England was pressing and in Munich the Germans were in a deadlock with the Fins with neither team able to score a goal. And then, the moment that will provide Beckham with the redemption he was looking for so hard for nearly three years. A free-kick for England in the 90th+3 minute mark, way outside the box and to the Greek goalkeeper's very center, a situation while interesting may seem an unlikely scenario for a right-footed footballer to turn into a moment that would go on to be placed in the nation's footballing history books. After a brief conversation with England's only goal-scorer on the day Teddy Sheringham, it was decided the Beckham would be taking the kick as Teddy proceeded to get into the Greek box. With his hands on his hip David Beckham was looking at the target, waiting for the referee's whistle. If there was ever a movie written about this moments there would probably be a montage as Beckham took the seven steps before curling the ball to the goalkeeper's right top corner to tie the game at 2-2. The montage would probably be of the red card against Argentina in Saint-Étienne followed by David Batty missing the crucial penalty-kick. Or perhaps it would be of the only two goals Beckham scored in the 2002 qualifying campaign. Whatever the case, David Beckham's goal was incredible, beautiful, amazing and improbably fantastic all at the same time. 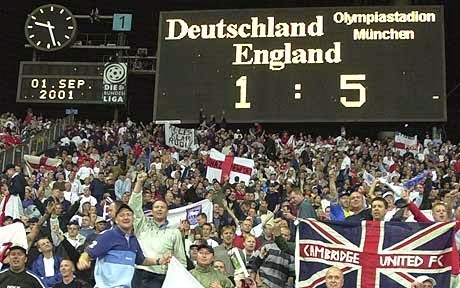 A goal that England fans will never forget.